For only the second time in eight years, the Flames are back in the Stanley Cup playoffs and it is sure to be a compelling couple of weeks as they'll be playing the Anaheim Ducks, who I'd argue is Calgary's No. 1 rival right now. For a couple of decades including the glory days of the late 80s, the label of Calgary's No. 1 nemesis was always the Edmonton Oilers and while we can all look forward to the day when that is the case once again, it's not the case today. Heck, they haven't faced each other in the playoffs since 1991. Fuelled by a dramatic seven-game playoff series in 2004, the Canucks took over as Calgary's arch-rival that spring and that lasted for a dozen-or-so years but that feud has also faded of late for the same reason the rivalry with Edmonton disappeared. For rivalries to not only survive, but also thrive, it takes both teams to be competitive. Vancouver just finished 29th and that's after a season in which they finished 28th. Enter Anaheim and its cast of villains, who Calgary has faced in a playoff series a couple times lately -- back in 2006, then again in 2015. The Canucks having added a couple of the ring leaders from the Flames feud with Vancouver in Ryan Kesler and Kevin Bieksa certainly hasn't hurt the hatred between the two teams and their fan bases. Most recently, you had Anaheim GM Bob Murray accusing Mark Giordano of being dirty, "asinine" remarks retorted Flames GM Brad Treliving on Monday. Plus you had a third period full of shenanigans when the two sides last met a week ago. But add in the season series in which the Ducks took four of five games and you end up with the 11-point disparity between the clubs that resulted in Anaheim winning the Pacific Division and Calgary settling for the first wild card spot in the Western Conference. Before the two sides hit the ice for game one on Thursday night, here's a look at five battles within the battle, which could determine who prevails when this series comes to a close. In this era where goal scoring is at a premium and that's even more so the case in the post-season, winning the special teams battles is going to be critical. In particular, Calgary's power play is an area to watch. At least Calgary has the fabled 'Wideman effect', what's your excuse, Anaheim? This series will feature the NHL's top two teams in terms of most times shorthanded this season. The Ducks were on the penalty kill a league-high 281 times while the Flames were next at 277. Why this lack of discipline hasn't hurt Anaheim is they've been very good at killing off those penalties, ranking fourth in the league in that capacity during the regular season. When you see the same name listed twice, you know he's used in that role a lot so expect a ton of Ryan Kesler when Anaheim is shorthanded. He led the Ducks and was fourth among all NHL forwards in PK ice time this season. This is one of the areas of the game where Cam Fowler (lower body) will be most missed as he topped Anaheim defencemen both in average ice time overall as well as time spent on the PK. In the absence of Fowler, expect to see plenty of Josh Manson, Hampus Lindholm, Sami Vatanen and Bieksa. Sidelined since November with an abdominal injury, veteran Clayton Stoner will be used in that capacity too if/when he is able to return. 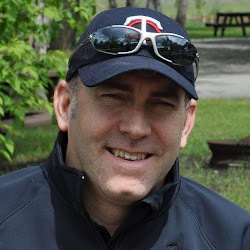 Given Anaheim's track record, Calgary will get its chances on the power play. Key is can they take advantage. The Flames can even limit some of the extracurricular post-whistle scrums that inevitably await by brandishing a lethal PP that swings momentum and/or scores when they do get those five-on-four opportunities. Until recently, the fifth member of both units was Troy Brouwer and Michael Frolik. But lately, Glen Gulutzan has frequently replaced Brouwer with Micheal Ferland and instead of Frolik, Sam Bennett has been getting more looks. Those are two changes that increases the skill on each unit and I would expect that usage trend to continue. On the season, Calgary finished 10th on the power play, which is impressive considering they were second-last at the end of November. From Dec. 1 onwards, they were sixth best and they finished the year strong going 8-for-27 over the final eight games. An important area of any NHL team is centre and this series provides an interesting contrast at that pivotal position between experience and youth. The Ducks have some exciting young players on their roster that will make them a formidable team for years to come but they're not playing up the middle. There are a couple talented young wingers, the defence has numerous rising stars that are still in their early 20s and of course there's John Gibson in net. But up the middle, that's where it's definitely age before beauty. 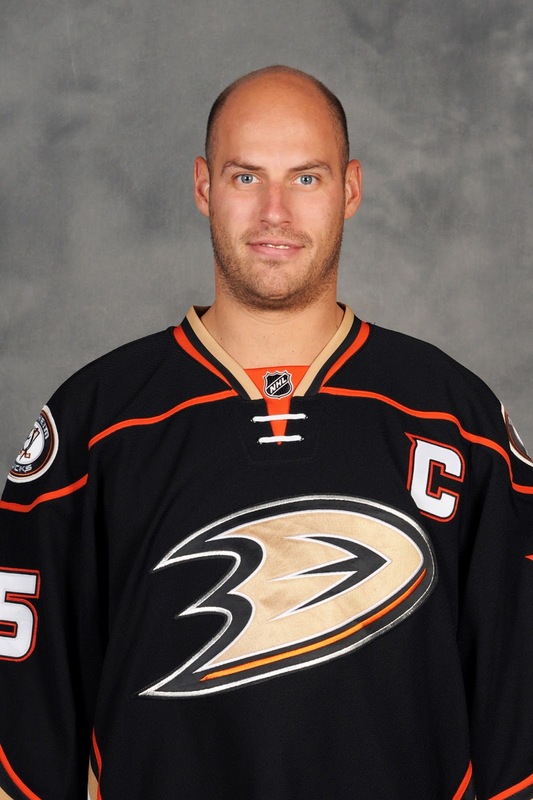 Ryan Getzlaf is an enormous talent who helped get Rickard Rakell 33 goals to lead the team. Underrated Patrick Eaves is also dangerous, having notched 11 goals in just 20 games with Anaheim after being acquired from Dallas at the trade deadline. 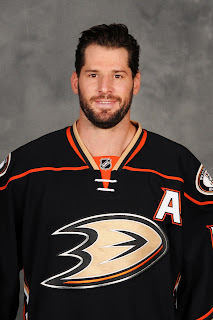 Kesler needs no introduction. Solid two-way player that lives to get under the skin of the Flames. Then there's Antoine Vermette, a modest free agent signing in August, who doesn't put up the offence he once did but he still contributes in many ways including being the second-best face-off man in the NHL this year at 62.2 percent. Plus, anytime you've got a former 50-goal man (and six times a 30-goal man) on your wing like Perry, you know the offence can come at any time. In Sean Monahan, Mikael Backlund and Sam Bennett, Calgary is boasting a home grown top three centers for the first time since Joe Nieuwendyk, Robert Reichel and Joel Otto anchored the Flames top three lines in 1994-95. 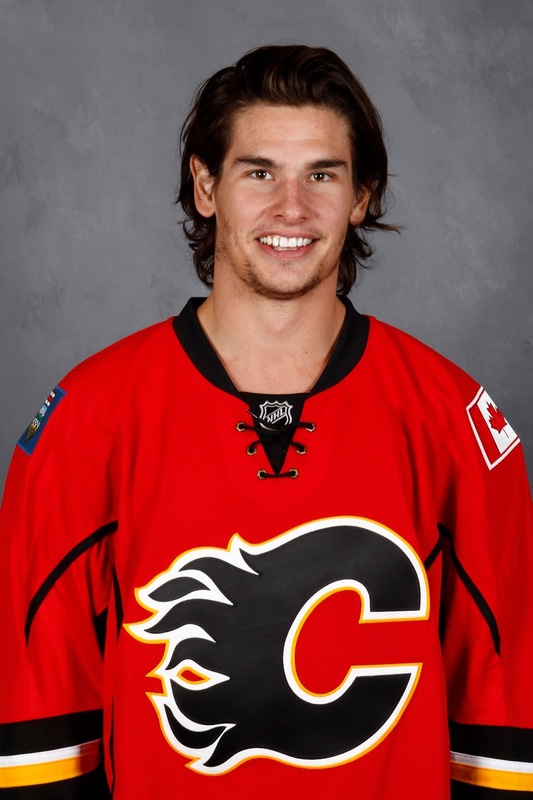 After a rocky start, Monahan has been much better over the last 3-4 months. Since Ferland joined that top line on Feb. 21 in Nashville, all three of them have flourished. Over that period, Gaudreau's 26 points (7 goals, 19 assists) in 23 games is fifth best in the NHL. With 23 points (8 goals, 15 assists), Monahan ranks 16th. Meanwhile, Backlund's superb season is something everyone is familiar with and while Bennett's year has been mostly disappointing, he seems to have elevated his game recently and just in time. So often, it's the third line and depth players that end up in the spotlight in the playoffs and that could be the case here. If the Backlund line neutralizes the Getzlaf line and the Kesler line neutralizes the Monahan line, it might just come down to which third line can produce more. With the Ducks trio nearly 10 years older in average age and with way more experience, this is going to be a fun dynamic to watch. Ah yes. 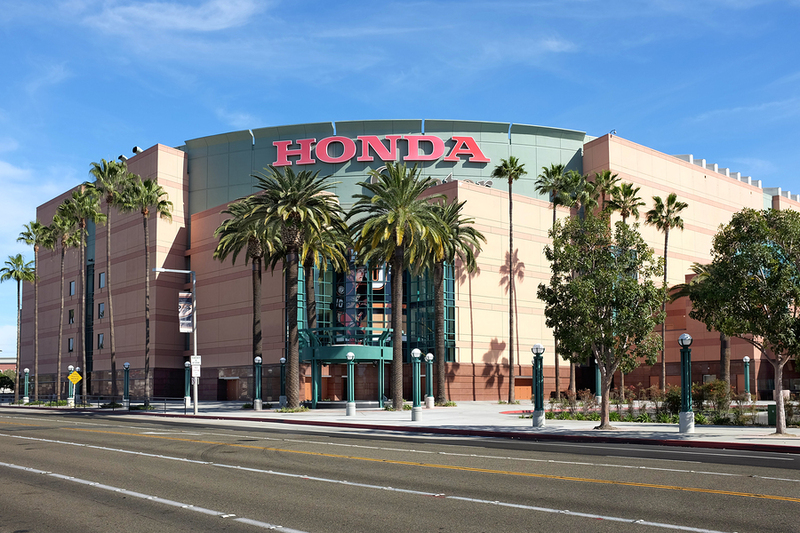 The Honda Center, aka Haunted Center, aka Unhappiest Place on Earth. Until Calgary wins again in the arena originally referred to by Disney when it was built in 1993 as the Pond of Anaheim, this venue with all its marble floors and showhome look and feel is always going to be a talking point when these two teams meet. 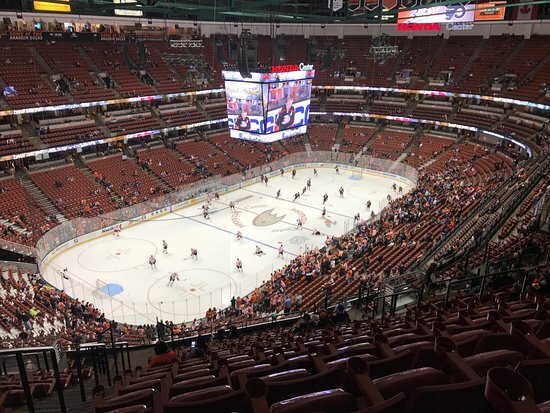 The number you'll hear referenced most often is the NHL record 25-game winning streak Anaheim has against Calgary at the Honda Center (which is 0-20-5 from the Flames vantage point). But that's a regular season streak. Adding to the wackiness is that last Calgary win -- a 5-1 victory on January 19, 2004 -- came with both Jarome Iginla and Miikka Kiprusoff injured and not in uniform. The futility goes back even further if you want. Go back to the 1998-99 season, Anaheim has lost only that one time to Calgary in it's last 35 regular season tilts (31-1-3). The fans know this is big mental edge for their team. I was at the gamelast Tuesday while in California on a family vacation and the chant began late in the game and without any prompting from the scoreboard or anything, "You can't win here." clap-clap, clap-clap-clap. They haven't won there for a long time, that's certainly true. But can they win there? Most definitely. The key point that frequently gets lost in the above stat is we're in the playoffs now and Calgary has won in that building more recently than 2004 if you include the post-season. On April 25, 2006 in game 3 of their first round series, Flames won 5-2. Kristian Huselius (1 goal, 2 assists) and Robyn Regehr (1 goal, 1 assist) led the offence while Miikka Kiprusoff made 27 saves. Since that game, they've lost their last five playoff visits but worth noting is three of those losses were by one-goal. Scott Niedermayer had the game-winning goal with just over five minutes left in the third period in one of them, Sean O'Donnell scored in overtime in another, and in the most recent playoff trip to Honda Center two years ago, Perry clinched the series 2:26 into extra time. The thing with history is it's just that -- history. A majority of that was accrued by players no longer with the organization. Many of the players involved are no longer in the league. Matthew Tkachuk, for example, he's only lost there twice. Many players on Calgary brought in recently have actually enjoyed modest success there. 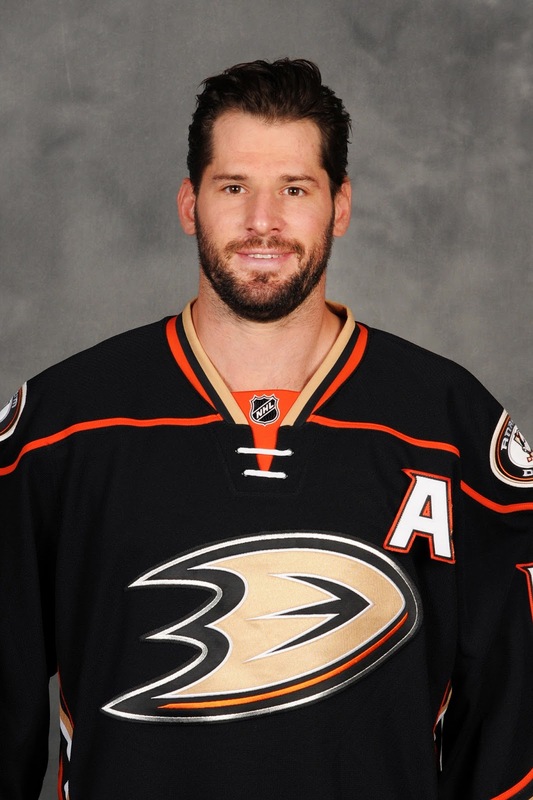 Troy Brouwer is 3-3-1 in his last seven visits to Honda Center. Michael Stone is 4-5-2 in 11 career games in Anaheim. Matt Bartkowski has won two of his last five trips to Anaheim. Alex Chiasson is 3-4-0 in seven games at Honda Center. Michael Frolik won three times in Anaheim prior to arriving in Calgary. Brian Elliott also has a win. He's 0-4-1 since but he has tasted victory there. The history most relevant is this season and in Calgary's two trips to Honda Center in 2016-17 -- once in early November, the other time last week, the Flames played fine both times. In fact, Anaheim has been held to 21 or fewer shots on home ice only three times in the last two seasons. Including playoffs, that's over the span of 86 home dates. Two of those three games were against Calgary this season. On Nov. 6 in a 4-1 loss, Calgary outshot Anaheim 26-21. On Apr. 4 in a 3-1 loss, the Flames outshot the home side 27-20. Both games were right there for the taking after the first period, tied 1-1 in the first game, Calgary with a 1-0 lead after 20 minutes last week, only for the game to get away. So it's not like they went in there and got steamrolled. This edition of the Flames, which is the only version that really matters, has played them competitively twice. About to play as many as four games in that rink over the next two weeks, I would actually be surprised if they don't win there at least once. The battle between the pipes also shapes up to be a good one and again it's a young rising star going head to head with a determined veteran, who feels he still has something to prove. Only unlike the situation up the middle, the roles are reversed this time with the Ducks having the young guy and it's the Flames with the guy with the experience. 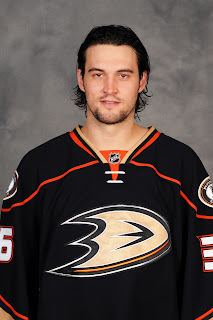 In net for Anaheim is John Gibson, a legitimate star in the making, who was a second round pick in 2011, the second goaltender off the draft board that year at No. 39 behind Nashville's selection of Magnus Hellberg. 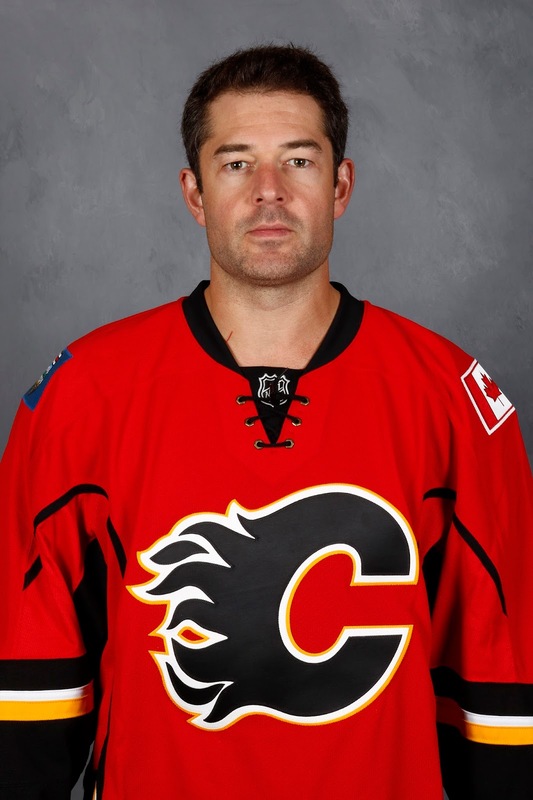 Then you have Brian Elliott, the second-last pick in the 2003 draft, which was nine rounds deep back then. Elliott went 291st to the Ottawa Senators, the last of 28 goalies chosen that year. Gibson has only played four times in the last seven weeks. After suffering a lower-body injury on Feb. 20, he returned on Mar. 10 only to end up on the IR again, which lasted through the end of March. But he's back and ready to go and he put to rest any questions about that when he stopped 26 of 27 to defeat the Flames a week ago and followed that up with a 37-save shutout of the Chicago Blackhawks two nights later. In his last eight appearances going back to Feb. 14, the 23-year-old is 4-2-1 with a 1.44 GAA and a .954 SV%. That type of goaltending will carry a team a long way and it if you're wondering, he's been good all season. Of the 41 goalies to make a minimum of 25 starts this season, Gibson's .924 save percentage ranks him 4th behind Sergei Bobrovsky (.931), Craig Anderson (.926) and Braden Holtby (.925). That's pretty good company for a guy in only his second full NHL season. Six of Gibson's 25 victories this year were shutouts, which is one heck of a ratio. While the Flames hope he'll be rusty, the Ducks are viewing him as rested and that's certainly an ace up the sleeve for Anaheim. 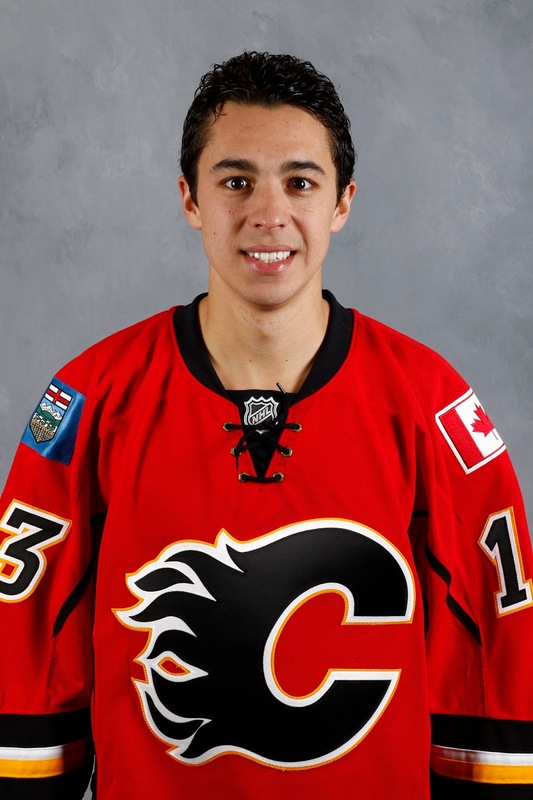 Elliott was acquired last June at the NHL draft to be Calgary's No. 1 goalie. 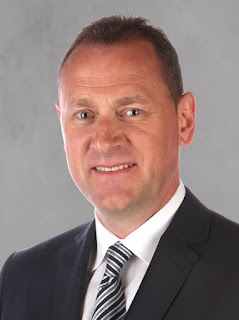 Treliving was happy to surrender a second round pick in a deep draft and a conditional pick to stabilize a position that was ground zero of the Flames unravelling a year ago. Sure enough, Elliott enters the playoffs as the guy Calgary expected him to be. The only surprise is the winding journey he's taken in arriving at this point. The start of the year wasn't a good one for Elliott. After becoming a first-time parent 10 days prior to the season-opener, his play early was rough to say the least, reflecting what the workplace performance ends up being like for most sleep-deprived new parents. Eventually, the struggles cost him the No. 1 job as Chad Johnson stepped in and started 13 of 15 games at one point from mid-November through mid-December. But Elliott's game came around, his numbers improving as the season went on right through the end of March. Should the Flames be concerned that Elliott enters the playoffs having lost his last three games -- two of the setbacks coming to Anaheim? It's certainly not the ideal scenario. But the body of work over the two-plus months leading up to April should reassure fans that he'll be dialed-in come game one. After all, Elliott has a track record in the playoffs. Last year in winning nine of 18 starts to help backstop the Blues to the Western Conference final, a run which included series wins over the always-tough Chicago Blackhawks and high-scoring Dallas Stars, before eventually succumbing to the San Jose Sharks, Elliott sported a tidy .921 save percentage, which is very solid for that time of year and against that level of competition. In fact, prior to losing his final three games to San Jose as things got away from him and his team a little bit, he was 9-6 with a .932 save percentage. Elliott has played 37 career playoff games. the 32-year-old has the demeanor of someone that is ready for this moment and won't get too caught up in it. It's a poise to be expected from a guy that has his experience and that will be badly needed on a youthful team in which many of its key players have very thin post-season resumes. Meanwhile, Gibson only has six career playoff starts, having lost four of them. The guy whose performance is most important to his team is Elliott. When he's on, it elevates the play of the entire team as they play a better, more confident and assertive game in front of him. How badly Calgary can sometimes play in front of struggling goalie they don't have confidence in was evident all last season and in that ugly first month this year. If Gibson falters, the Ducks have a better chance of surviving that than if Elliott stumbles. 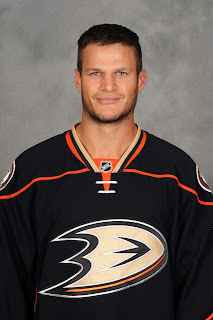 Plus, Anaheim has Jonathan Bernier in reserve and he played very well in Gibson's absence. In his reduced role, Chad Johnson, coming off a minor injury, has not been able to return his game to the same level he was at in November and December so this is Elliott's series, barring a disaster. 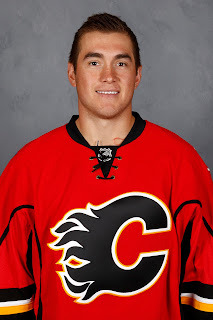 It was in the first round two years ago where Ferland, a relative newcomer to the league, made a major impression by having a heck of a series against the Vancouver Canucks in the first round. 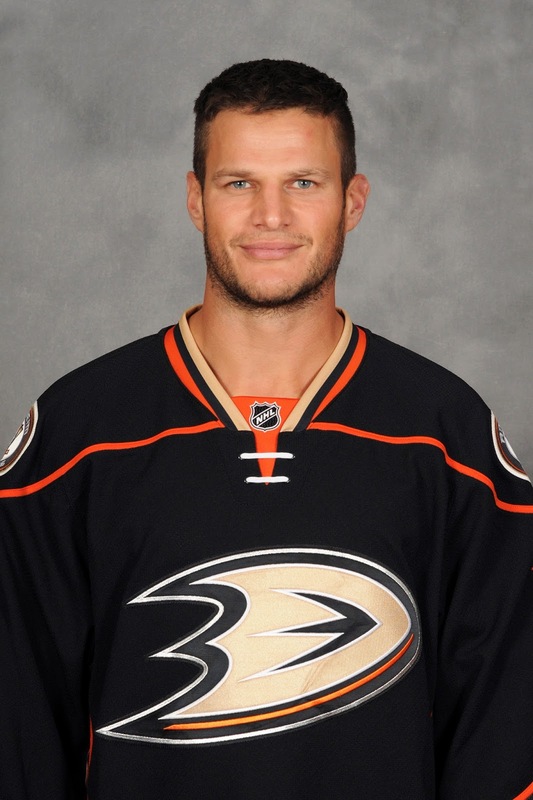 Of course, Bieksa stirred things up by referring to him as irrelevant. It really was something to watch in 2015 as Ferland stapled him and other Canucks blueliners into the end boards so often that soon they were all unloading that puck like a hand grenade when they saw the No. 79 freight train coming. Well, those same two meet up once again. Even in the absence of injured blueliner and ice-time leader Cam Fowler, the Ducks present a much different blue-line than the Canucks two years ago and that includes a reduced role in comparison for Bieksa. At age 35, Bieksa is the old man on an otherwise youthful blue-line in which the other five defencemen are all age 25 or younger. Clayton Stoner, 32, changes that dynamic a bit if he returns but Anaheim's strength moving forward is definitely the young talent on the back end. Vatanen, Manson and Fowler are 25, Lindholm and Brandon Montour are 23, Shea Theodore is just 21. Meanwhile, in addition to the defence and Gibson, which gives the Ducks a solid last line of defence, the Flames top line of Ferland alongside Gaudreau and Monahan, will have to work their way past one of Bieksa's old Canucks teammates in Kesler as you know that trio with Andrew Cogliano and Jakob Silfverberg will match up frequently against them. Between Bieksa and Kesler, there's high level of agitation and sand paper that comes with those two guys as well. Two years ago with Lady Byng-winning Jiri Hudler alongside Gaudreau and Monahan, that trio -- so vaunted during the regular season -- struggled in the Stanley Cup playoffs when the play gets more physical and space seems to diminish. I'm really curious to see how things go for that same duo of Gaudreau and Monahan this year, with the rough and tumble Ferland on the flank. While Ferland can finish as he's shown with his 15 goals, it's his surly nature and physicality that Calgary will hope will buy the other two a bit more room and ultimately will lead to more success. The Flames have improved depth this post-season compared to a year ago. The 3M line is a considerable upgrade as the second line over the trio last year of Backlund with a fuzzy-cheeked 18-year-old Bennett and Joe Colborne. Kris Versteeg, Bennett and Alex Chiasson have the ability to chip in some secondary scoring from the third line, but Calgary will still need to get production from that top unit. I wouldn't expect the same rate of production as they've contributed since first being united but they'll need to still need to play the role of the offensive catalyst by pushing the puck up ice and generating chances. Ferland's role in this playoff series really is a pivotal one. 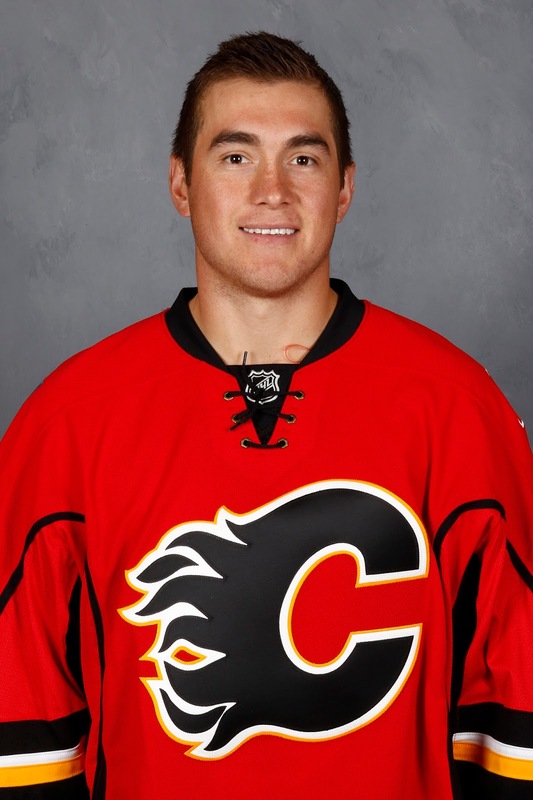 He's not out there on the fourth line like two years ago, now he's a central figure in the Flames forward group. He needs to be contributing while at the same time also providing some push-back and keeping the Flames from being bullied. That said, it's a fine line as you don't want to be chasing the Ducks around either as getting distracted and off your game is exactly what they'll be trying to do. Now let's get this series going. great read Darren.. 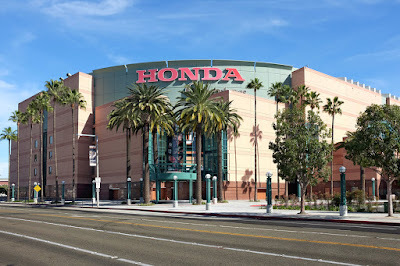 The Flames have to stay out of the "gutterball hockey" and just play the game that got them in the playoffs the last 3 months.. Also the elephant in the room which translates into the Honda center.Praying the series goes more than 5! You want a series that goes more than five games, makes tonight a must-win in my eyes. That elephant in the room keeps growing bigger and bigger and bigger. Bennett - Lazar - Jankowski to add scoring punch and energy to the first two lines. If there wasn't trust in Lazar and Jankowski to use them in the regular season for Calgary, you are not going to see it in the playoffs. It's just too soon for both of them, it's not their time yet. But might you see that line down the road, you never know. Certainly lots of potential in both Lazar and Jankowski. But for now, Versteeg and Chiasson are better NHL players. More experience. Older. Stronger. All of that. Thanks for the note.